Personal Digital Assistant or PDA which is a very useful electronic gadget has the same functions as that of our personal computer. 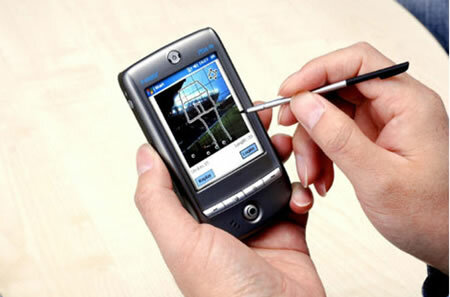 There are many mobile companies which manufacture PDA such as Apple, Blackberry, and HTC etc. PDA otherwise called as Smartphone which has the functions of mobile like calling or message sending, also they have extra features like web browsing sending mails, connecting to other network, these features make the PDA an essential tool for the professionals nowadays. Important priority set for the one who has a PDA is security, as it may contain personal or business related information’s. So protecting the contents of the PDA from others is very essential. In this article we will discuss about how to set a password for the PDA devices. A brief outline for different handsets of blackberry and PDA models are discussed. First the password setting should be enabled in the PDA. When we enter the Home screen, next we have to move to ‘Setting’ menu by rotating the track wheel, and then press the track wheel to enter the setting menu. Next, scroll for the ‘Option’ menu and then press the track wheel. Then scroll to ‘Security options’ then press the track wheel. Then scroll to ‘General Settings’ then press the track wheel. Now scroll to the ‘Password’ and press track wheel again. Now scroll down to ‘Change Option’, and then enable the option by clicking the track wheel. We can set a time limit as when to enable the security timeout. In case of blackberry handsets, the security timeout will determine the period of time limit for the user to prompt for the password. Say, when the timeout is set for about 30 minutes, then the blackberry will prompt the user to enter the password when the user access it after a time period of 30 minutes when the blackberry is not in use. Blackberry also prompts for the password even when the device is turned on. The security timeout can be set entering the settings menu then to the option menu in that security options there will be general settings where there is an option ‘Security Timeout’. When you enter the security timeout menu go to change option menu and press the track wheel. Then click time frame where at a maximum we can set time up to 60 minutes. Then press save option. Next to setup a password for the blackberry, after you enabled the security timeout, it will prompt you for a password. Enter the password which you want and press the track wheel. Then again you will be requested for password for verification, and then you enter the password again and press the track wheel. Then after saving your password, you will return to the security option menu. Now the password is set in your blackberry, now no one can access your personal information without a password for the device. And don’t forget your password and try to change your password periodically.